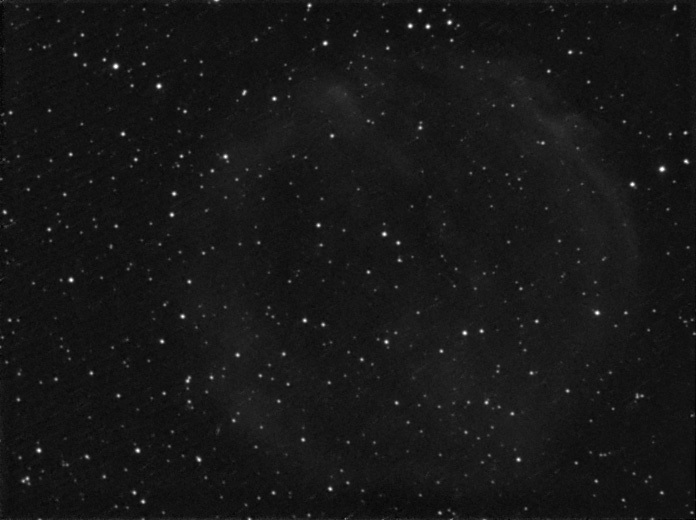 Apparent RA: 06h 19m 34s Apparent Dec:+55° 36' 42"
A very dim and large northern planetary nebula in Lynx, another ultra faint target for my 6nm Ha filter and Skywatcher Newtonian telescope. I've take 25x300s frames in 2x2 binning and you can only just see the delightful structure of this low surface brightness planetary. There is a much larger and fainter outer halo - a good target for those with a wider field and darker skies.